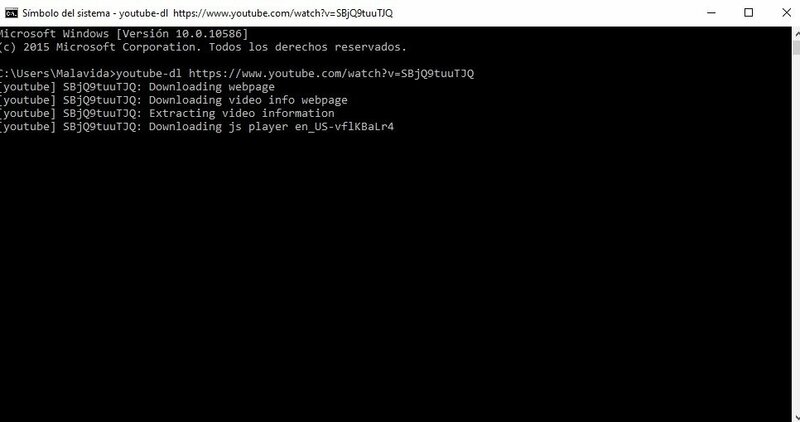 With the increasing popularity of YouTube, nobody should be surprised about the appearance of dozens, not to say hundreds, of programs that allow us to download videos straight from Google's portal to our PC, to be able to watch them offline and without the bothersome adverts they usually display. Download videos without any sort of interface to distract you. 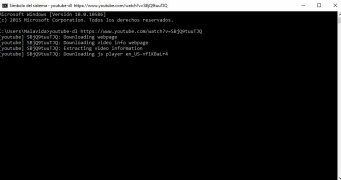 youtube-dl is one of the many programs of this kind, but with a large difference regarding its competitors. Its developers have concentrated all their efforts on offering us a fast and reliable product, leaving flourishes, such an eye-catching user interface, to one side. This software runs straight from our Windows command line, without any kind of prior installation, allowing us to download videos to our hard drive in a matter of seconds. 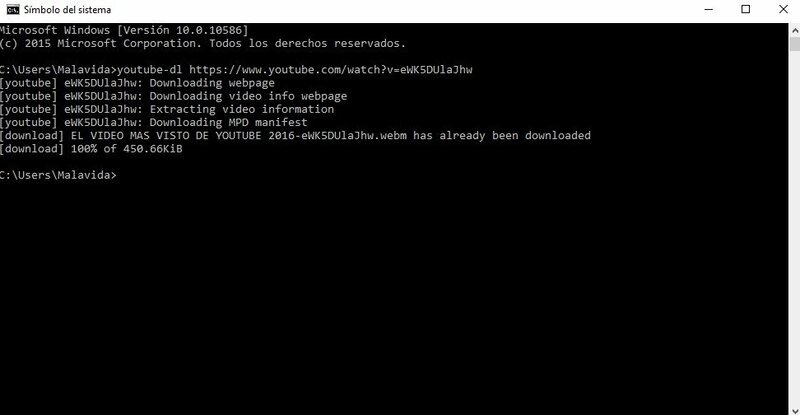 How to download videos from YouTube with this program? 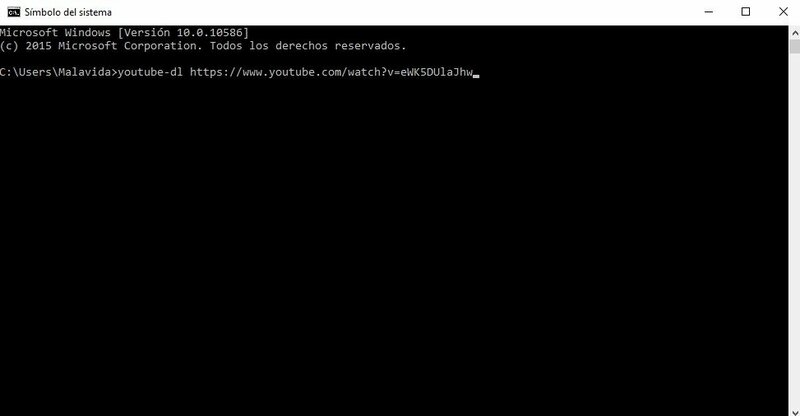 Download youtube-dl.exe to your computer. Open the command line from the system symbol. Go to the path where the exe file has been saved. Type in youtube-dl [URL of the video on YouTube] and hit Enter. 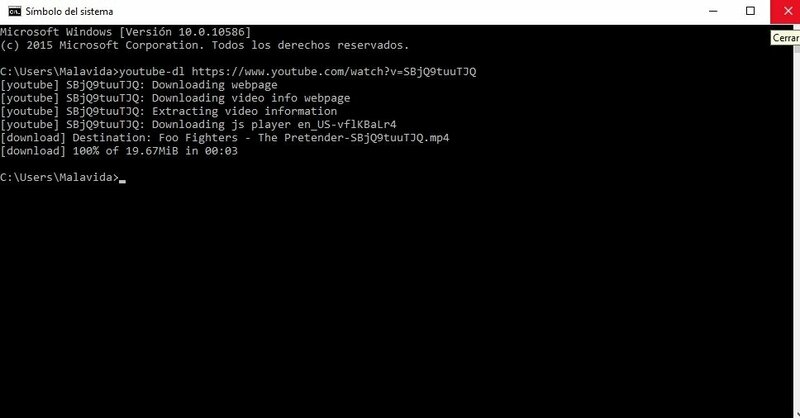 In just a few seconds it will be downloaded to the folder where we've saved the .exe file, and we'll also have the possibility to add hundreds of parameters to the command, affecting the format and quality of the video.